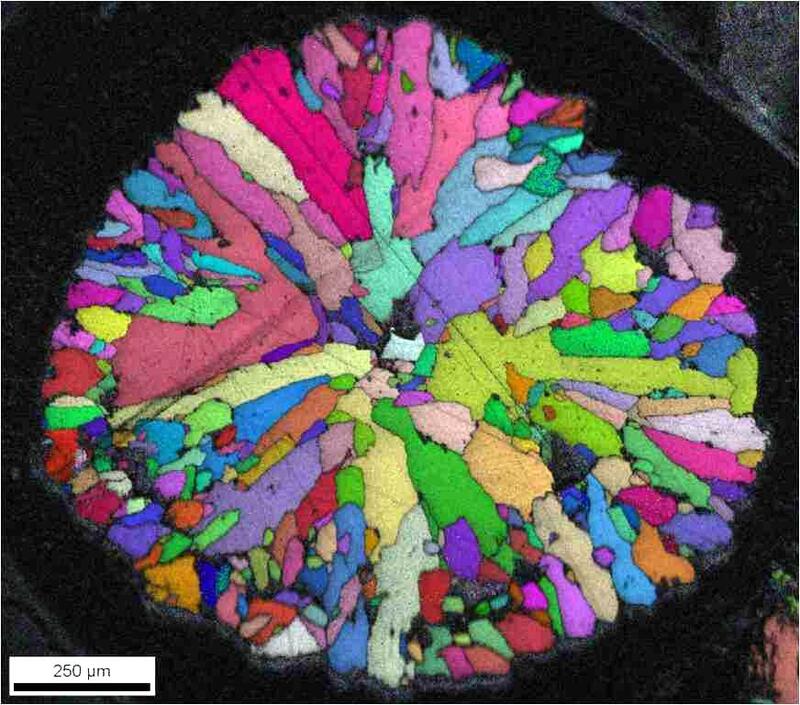 Electron Backscatter Diffraction (EBSD) orientation contrast map of an earthworm granule highlighting its polycrystalline microstructure. Image by Martin Lee, School of Geographical and Earth Sciences, University of Glasgow. Categories: Earthworms | Tags: crystal, EBSD, electron, granule | Permalink.